1. This Electric Operating Table 99C is developed independently by our company wity innovativ and advanced technologies. 2. The table is a compehesive one with high-quality and multi-purposes,which takes the leading position in the domestic market. 3. The table can be used in almost all kinds of operations by means of speical design. 4. The bedtop can be moved vertically and rotated horizontally. 5. The tableboard is made from high-intensity synthesis panel. 6. X-Ray transmissive, easy adjustment and easy use of C-arm make the table can be more capable for any operation. 7. The operating table is controlled by Control Circuit, which is easy operation, low noise,reliable performance. 8. 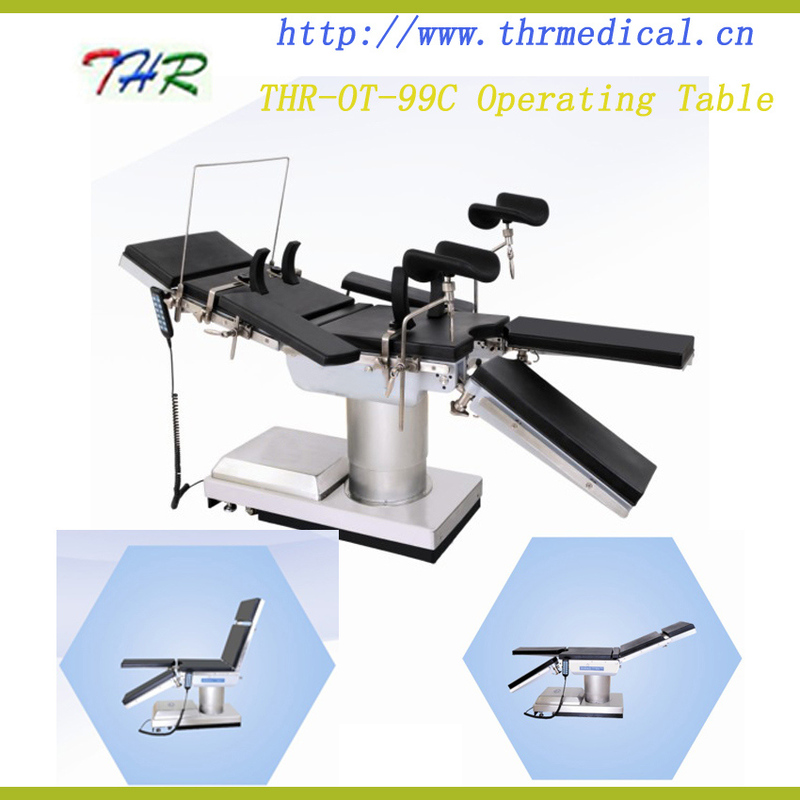 2000L operating table has almost the same functions with 99C, except that 2000L can't be moved in vertical direction.